City living has its perks but sometimes, you just want to get away from it all! There’s just something magical about relaxing in the middle of the forest, don’t you agree? Nothing like being surrounded by nature to soothe an encumbered mind. Love the idea of basking in the sun, exploring the woodlands, and listening to birdsongs? Take your vacation up a notch by checking in at these hidden hotels or rental homes! From minimalist house rentals to tiny hotels, these fabulous digs are hidden deep within the jungle. If you’re not ready for a full-on woodsy holiday, you’ll love the laidback vibe of this tiny house village. 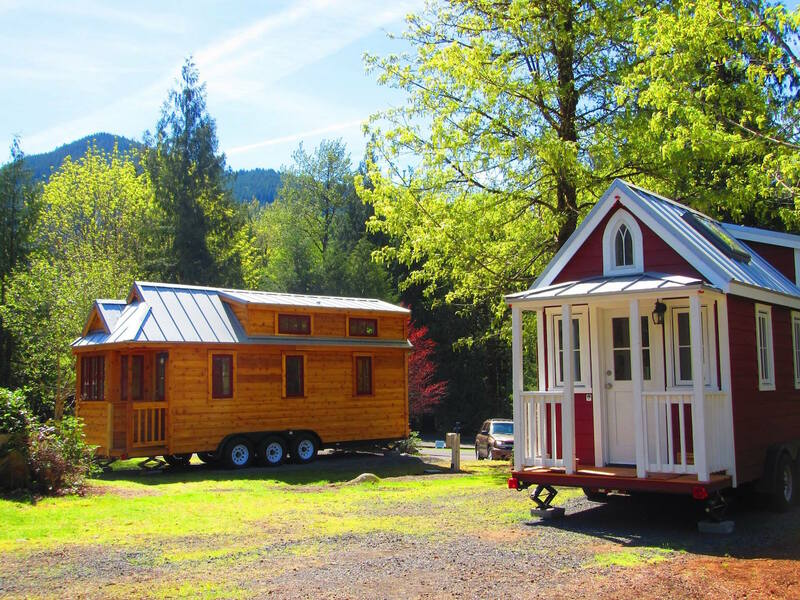 Located in the Pacific Northwest woodlands, the Tiny House Village at Mt. Wood is just a few minutes away from the city but is far enough for a peaceful sojourn. 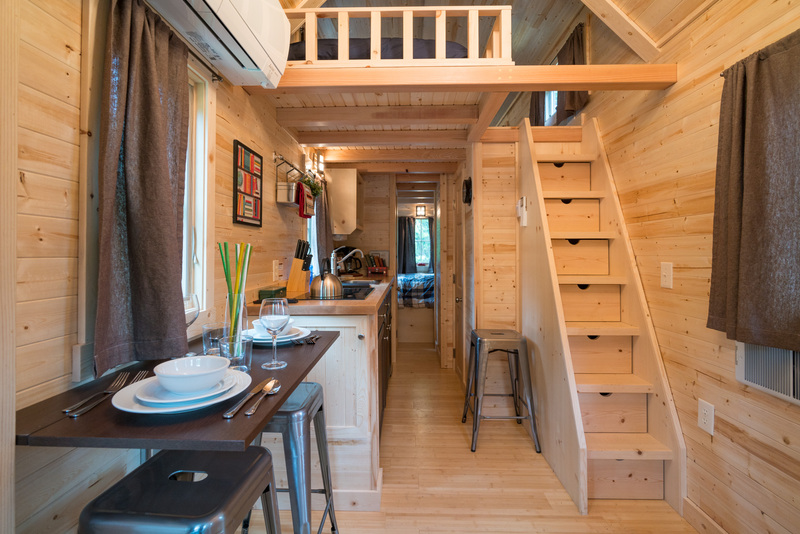 The village is comprised of five micro homes no larger than 260 square feet. These tiny dwellings come with a spacious bedroom, a fully equipped kitchen and of course, a cozy living area. There’s plenty of loft space to chill plus a porch to enjoy the view. 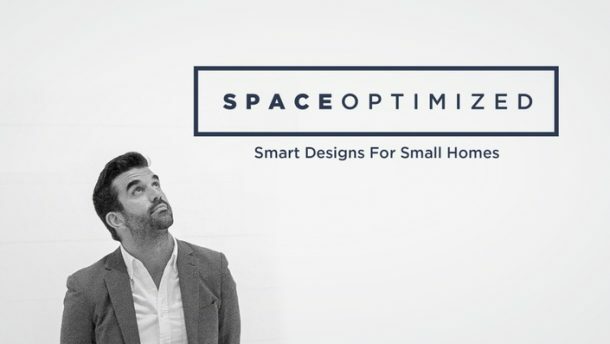 All five homes – designed by Tumbleweed Tiny House Company – have their own quirky names. Book Atticus, Lincoln, Zoe, Scarlett, and Savannah for $129 to $139 a night here. 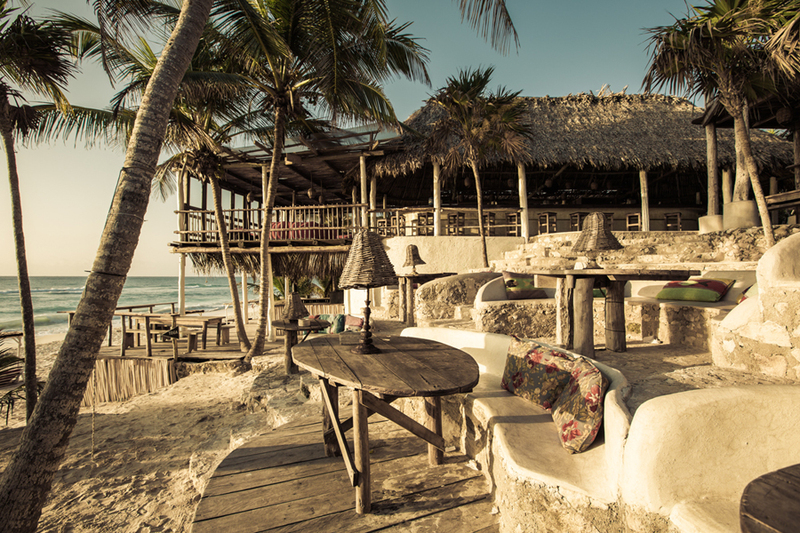 Experience a different kind of nature-inspired getaway at Papaya Playa Project! 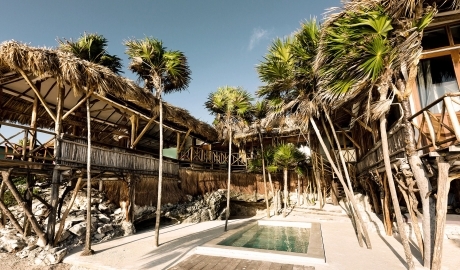 The Papaya Playa Project is a luxury hotel located along the Mexican Caribbean coast! Inspired by the love for nature, the hotel boasts of unique Mayan aesthetics that catch the eye and captivate the soul. That’s just the beginning. Love the beach? Work on your tan all day and indulge in pure, unadulterated beachside relaxation at Papaya Playa Project! Or if you prefer a fun, woodland adventure, you can explore the nearby forest to invigorate the soul, it’s your choice! The hotel sits in the middle of a private beach and the forest. It’s the perfect retreat to soothe frayed nerves, satisfying your needs of privacy and tranquility. Also, the hotel puts emphasis on sustainability so you can enjoy your vacation in the most eco-friendly way possible! But don’t take our word for it, book a stay here and discover the best of what Papaya Playa Project has to offer. Escape to Rio de Janeiro! 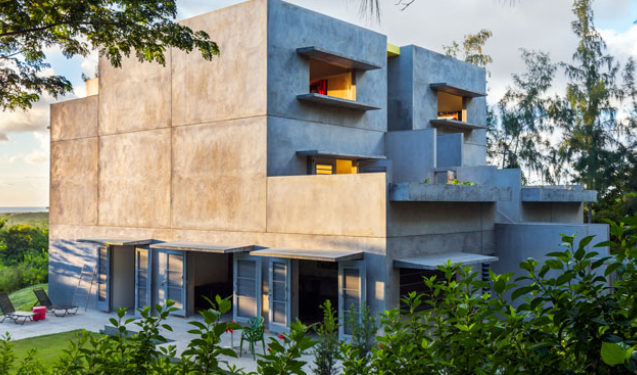 Discover Brutalist Chez Georges, a 9-bedroom minimalist house set high on Santa Teresa. The relaxing residence sits in a forested area, guaranteeing total privacy and tranquility. 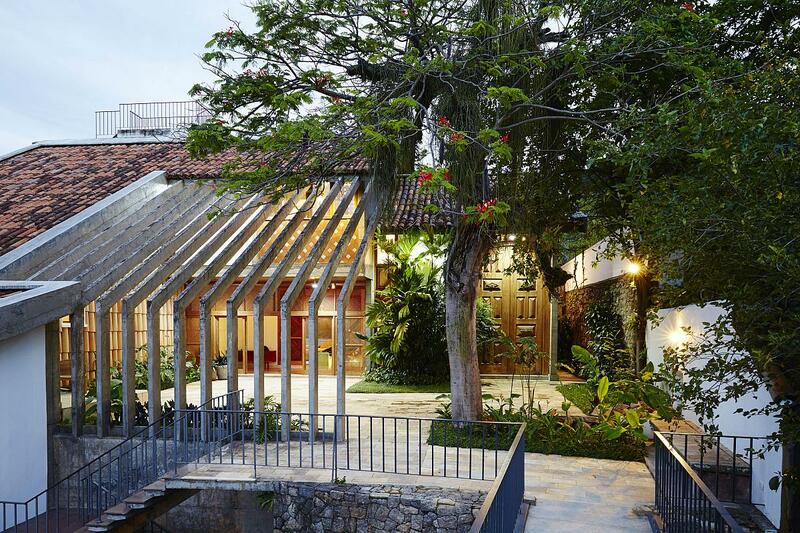 Brutalist Chez Georges overlooks the beguiling Brazilian landscapes! 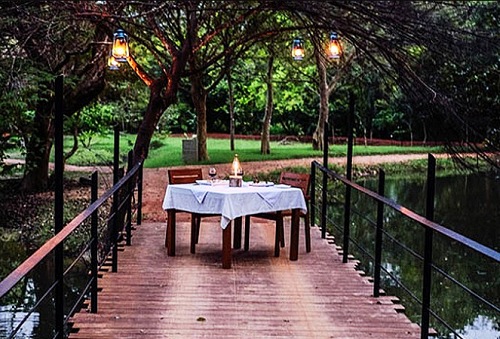 It’s the perfect sanctuary for guests who’d like to experience the authentic carioca lifestyle. With its soaring ceilings, concrete arches and expansive windows, you get an eyeful of the mesmerizing landscapes at every turn. The villa offers gorgeous backdrops from different vantage points. Every spot is truly Instagram-worthy! Each room has its own character but if you really want to enjoy the sights, choose the Rainforest view suite. The suite offers a balcony view of the Mata Atlantica forest. Beyond the bedroom, there’s a music studio and a massive pool! Start your tropical getaway and book a room here. You up for a tropical getaway? 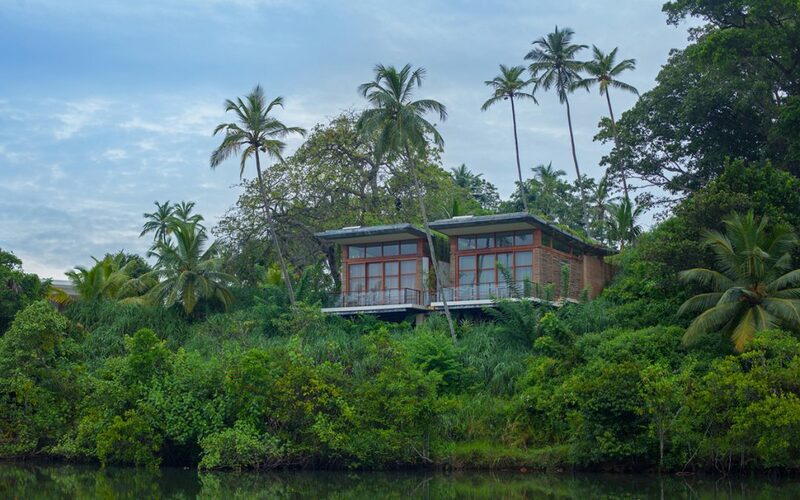 This Puerto Rican retreat is the perfect place for a peaceful break surrounded by nature! 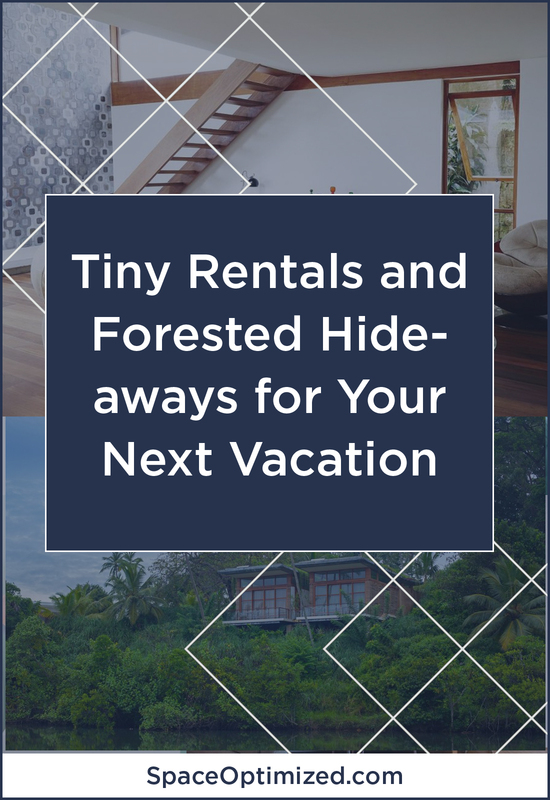 The Hix Island House is located near the dense forest of Vieques and the setting couldn’t be different from the usual resorts Puerto Rico is known for. For one thing, the minimalist retreat is totally eco-friendly! 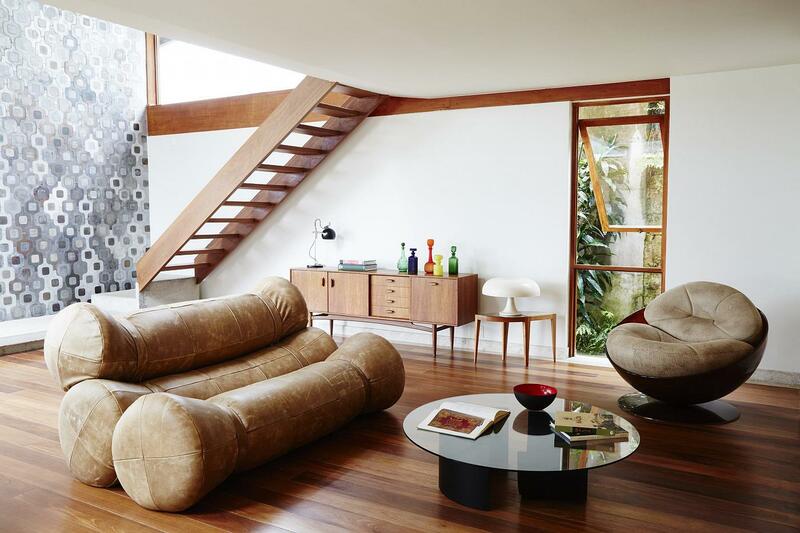 The property is comprised of 19 open-air loft apartments with a distinct angular design. Each guest room features glassless windows and sprawling balconies so you take advantage of the gorgeous views at every turn. Book a stay at this tropical island home here. 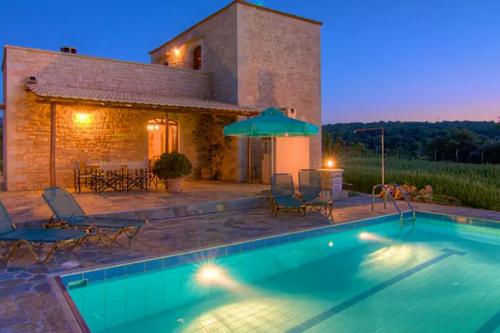 Yet another gorgeous holiday villa for those who like the idea of being surrounded by nature but are afraid of “roughing it.” Located in Crete, this stone villa sits in the heart of a tamed forest, one of the last few oak forests in Europe. This minimalist house can accommodate up to 6 guests. It has two bedrooms, a spacious living room and one bathroom with shower and bathtub. Oh yeah, it also comes with a magnificent pool that overlooks the glorious greenery beyond. The property is accessible enough since it’s close to the town’s national road but it’s perfectly secluded. 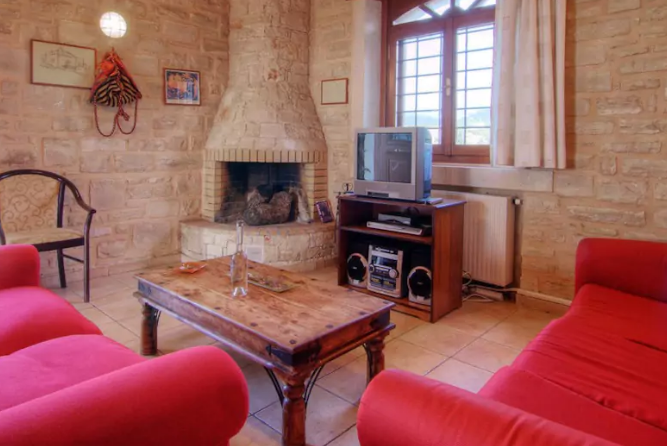 It’s just 10 minutes away from local attractions including the beach and downtown Rethymno. The Forest Villa is a haven for nature lovers and you can book it for only 168 bucks per night here. For beach bunnies, Phuket, Thailand is one of the best destinations for a seaside sojourn! But let’s face it, everyone and their mother love Thailand for the same reason hence, the beaches are quite crowded. If you’d like to avoid the crowds and experience real Thai culture, we suggest booking a stay at Keemala. 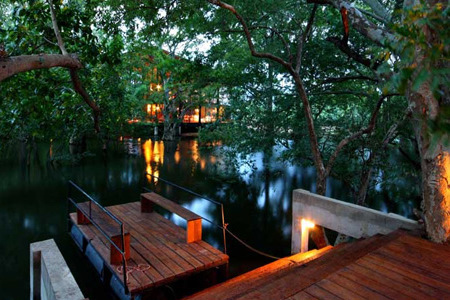 Keemala is an evergreen paradise nestled between the Kamala jungle and the Andaman Sea. You get the best of both worlds! During the day, you have the beach to yourself; you can recharge and soak up the sun to your heart’s content! For thrill seekers, you get the chance to explore the woodlands during the day and experience the local nightlife after dark. 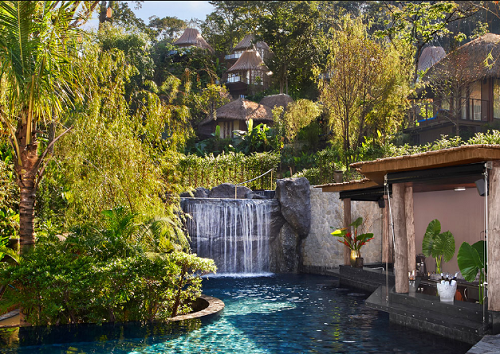 In between these fun activities, you can choose any of Keemala’s holistic spa treatments or sample the local cuisine. Everything’s here at this beachside wonderland, book a room here. 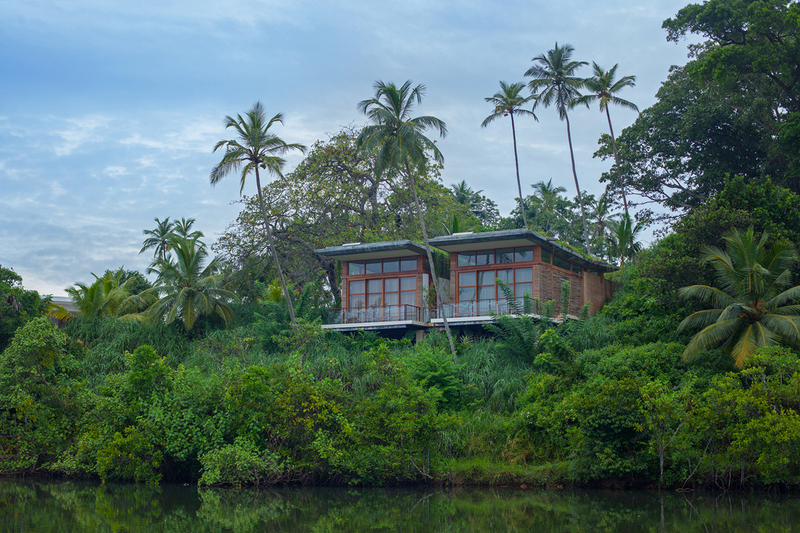 Rounding up our list of mesmerizing forested getaways you need to visit is Kalundewa Retreat in sunny Sri Lanka. This exotic haven is tucked away in a lush, 100-acre property you can explore on foot or on wheels, whichever you prefer. The Kalundewa Retreat is comprised of luxury villas set in a natural setting to soothe the senses. Each dreamy domain is dressed with wooden furnishings and soft draperies that frame the mesmerizing mountain views. Inside the calming retreat, you can indulge in a host of nature-inspired activities: alfresco dining, yoga, or spa treatments. Beyond the gates, you can explore the wilderness, go bird watching or visit the local attractions. Take in the sights, experience the quiet village life and book a room here. 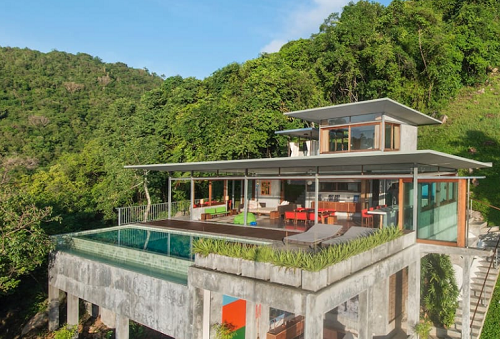 How about taking a break away from Thailand’s crowded beaches and in this stunning 6-bedroom crib? Hidden deep within the local woodlands, the Naked House is a stylish residence for rent designed by Mark Gerritson. 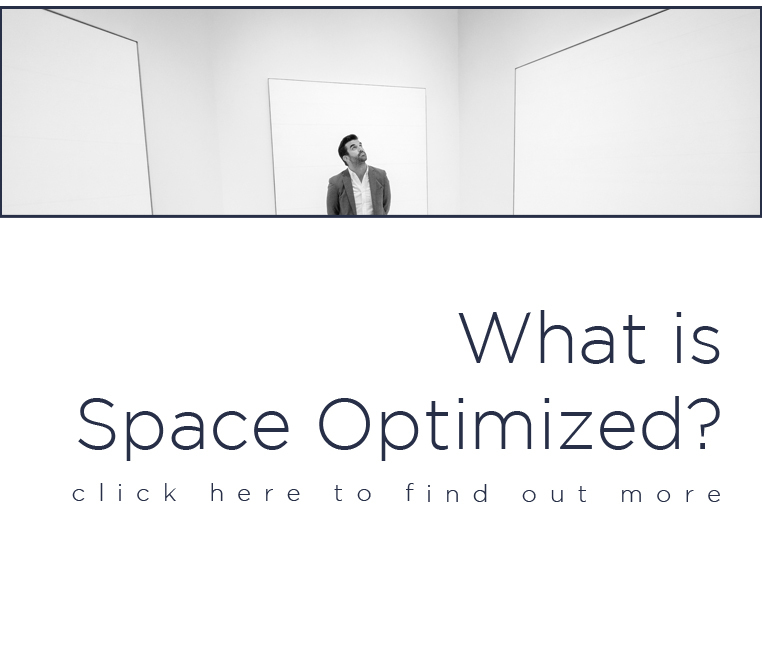 This minimalist house got its name from its bare walls. But if you’d like to strut around this private dwelling in your birthday suit, hey! You’re on a break, after all! 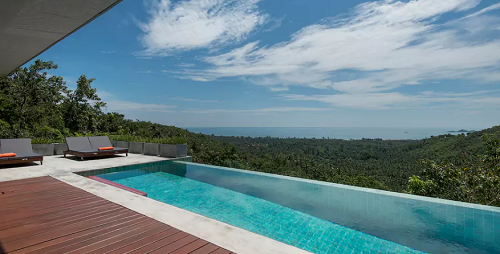 The Naked House is situated in the heart of Ko Samui island. It’s designed to make the most out of the stunning views beyond. The minimalist house rental can accommodate a large family. It has 3 main bedrooms with adjacent bathrooms, a children’s bedroom plus a spacious living area. All rooms offer sweeping views of the verdant landscapes. The Naked House comes with all the conveniences of a modern home but the furnishings are sparse. This way, you could go out there and make your own adventure! Rent this gorgeous home for only $224 a night here. TRI Hotel is a chic luxury resort located in Sri Lanka. This secluded, 6-acre property boasts of 11 bedrooms and suites. Most of the guest rooms have private gardens or plunge pools. At the heart of TRI Hotel is a 21-meter infinity pool that faces the Koggala Lake. The resort also offers an enchanting view of the nearby forest. So, what makes the TRI Hotel different from the other resorts in Sri Lanka? TRI Hotel’s design and services are focused on wellbeing and sustainability. The resort is built from green walls and roofs. Almost all pieces of furniture you see in and around the resort are made from recycled wood. TRI Hotel uses solar power and rainwater channels to supply energy. The restaurant serves detoxifying meals and drinks made from fresh local ingredients. Some of the best yoga instructors in the biz conduct everyday classes in the resort so don’t miss a class! There is an abundance of beautiful sights and activities you can enjoy with the rest of the family too. Click here to book a room. Who doesn’t love Bali? With its pristine beaches and verdant landscapes, Bali offers the best in island living. If you’re up for a beach getaway in Ubud, we highly recommend checking in at Bisma Eight. 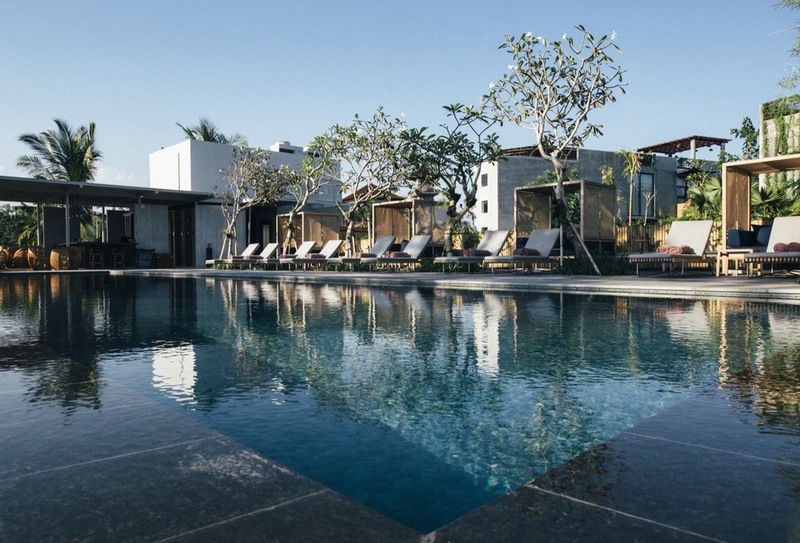 Bisma Eight is a stylish boutique hotel located just 10 minutes from central Ubud. And what a gorgeous hotel! We love the lavish interiors, which are heavily influenced by European and Balinese aesthetics. The rooms and suites evoke a tender feeling of hominess thanks to the elegant furnishings and amenities. If you’d rather not feel like you’re staying at a hotel, we highly recommend booking the canopy suite. Each tastefully designed suite sits near the hotel’s courtyard. 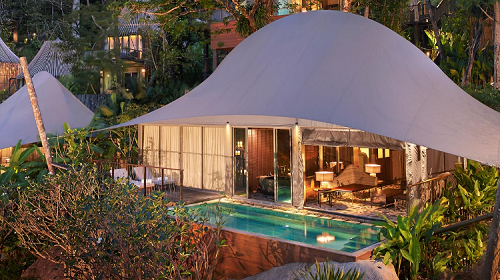 The canopy suite offers an unparalleled view of the nearby jungle. The space is also decked out in wooden furnishings for utmost relaxation. If you don’t feel like going out for a swim, you can chill in your own private balcony and take in the gorgeous view. 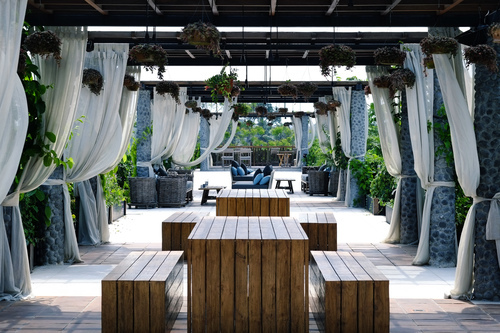 Beyond the stylish interiors, Bisma Eight aims to provide a different kind of experience in which “people relate to a place.” The hotel is committed to setting itself apart from average Balinese hotels, every visit a unique experience every time. If you’d like to experience that famed Balinese hospitality, book a stay here.